Elijah Magnier returns to the show. He is currently in Beirut enroute to Damascus. We discuss Trump’s announcement of a rapid withdrawal from Syria, the prospect of a Turkish invasion of Kurdish and US-occupied areas in Syria, and the situation that withdrawal from Syria creates for the Kurds. Even if Trump reneges on his order, they are still confronted with a crisis of confidence about long term American occupation and their own security and interests. We also discuss Russia’s consequential changes to the rules of engagement with Israel and Syria, and a possible Middle East summit. 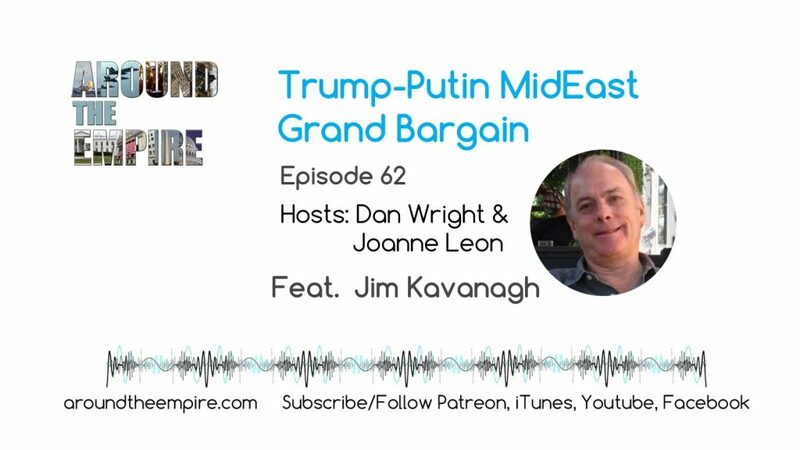 Dan and Joanne talk with Jim Kavanagh about the summit between American President Donald Trump and Russian President Vladimir Putin in Helsinki and the anticipated attempt to strike a MidEast grand bargain. Jim is editor and writer at The Polemicist. His work is also published at CounterPunch, Greanville Post and he’s a frequent guest on the Loud and Clear radio show. Follow Jim at @ThePolemicist_ . Find his work at polemicist.net. Recorded on July 12, 2018. Music by Fluorescent Grey. Dan and Joanne talk with Aaron Maté about Russiagate and the Mueller investigation. We discuss Aaron’s recent article which argues that after a year of investigation there have been several guilty pleas, but none of them go “to the core of the special counsel’s mandate,” about collusion between the Trump campaign and the Russian government. Aaron is a host/producer for The Real News and a contributor at The Nation magazine. Follow him on Twitter at @aaronjmate. Recorded on June 21, 2018. Music by Fluorescent Grey. 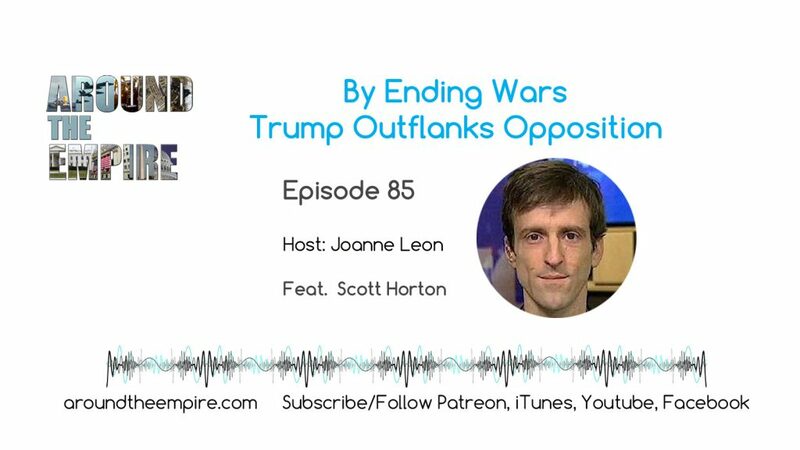 In this bonus episode (a bonus episode for patrons, 30 minute preview free to the public), Dan and Joanne talk about the growing conflict with Iran, the impact of Trump’s withdrawal from the Iran deal and the severe escalation in the Syrian war that began just hours after that withdrawal. Recorded on May 11, 2018. Music by Fluorescent Grey. 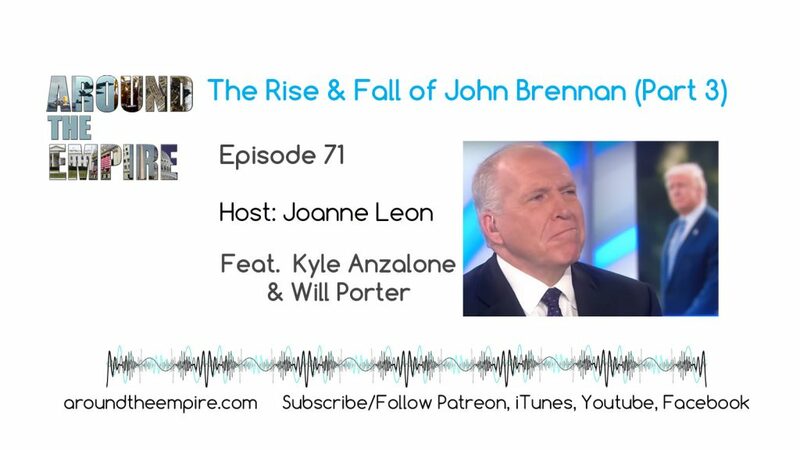 Recorded on April 24, 2018. Music by Fluorescent Grey. 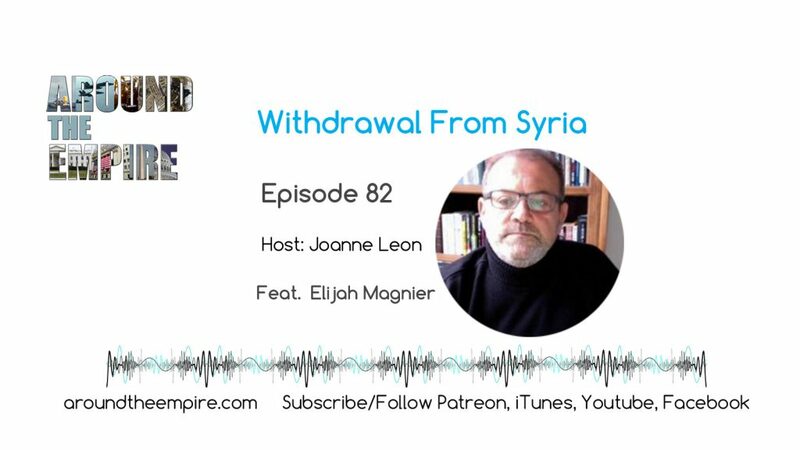 Author Around the EmpirePosted on 04/11/2018 Categories PodcastTags empire, Iran, Russia, Syria, Trump, United States, warLeave a comment on Ep 49 Leaving Syria feat. Lt. Col. Daniel Davis, USA, Ret. 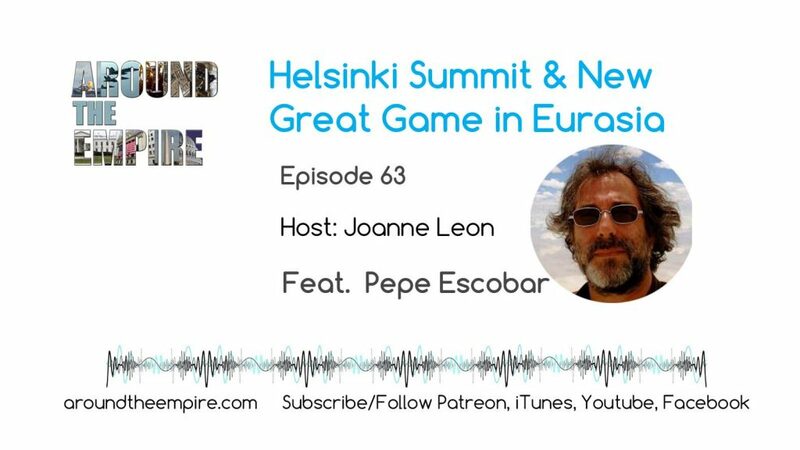 Dan and Joanne talk about the Mueller’s indictment of Russian internet trolls for defrauding the United States and meddling in the 2016 election by placing ads on social media (most of which ran after the election itself). While the indictments themselves seem absurd, they did bring about a significant change. Both the establishment Left and Right are now more united against Russia and around the War Party. Recorded on February 23, 2018. Music by Fluorescent Grey.